Detective flashmob: help catch the dastardly criminal BP hiding in the British Museum! – BP or not BP? 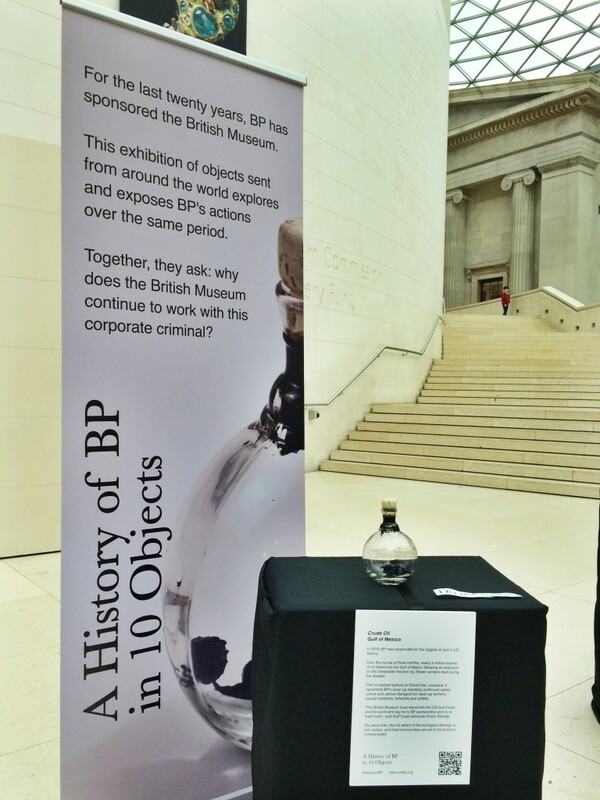 Detective flashmob: help catch the dastardly criminal BP hiding in the British Museum! You are hereby invited to a DETECTIVE FLASHMOB on the afternoon of Sunday March 29th 2015, inside the British Museum! 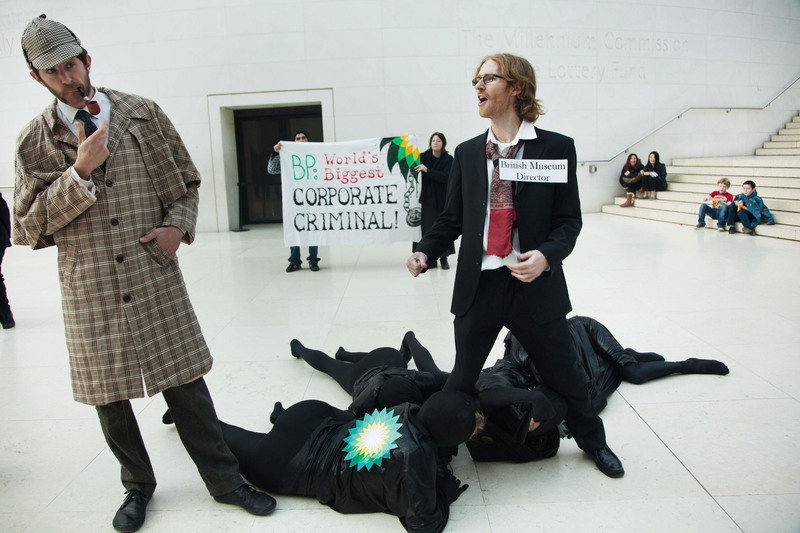 The British Museum is harbouring the world’s biggest corporate criminal: BP. The oil company is facing the largest criminal fine in history (at least $4.5 bn) after pleading guilty to the Deepwater Horizon disaster. By taking sponsorship from BP and plastering its logos on exhibitions, the Museum is helping BP to cover up its crimes: not just Deepwater Horizon, but its dastardly activities in the tar sands, the Arctic, and around the world, not to mention its colossal contribution to climate change. On February 8th, we brought Holmes and Watson into the Museum to look for clues. They did their best, by Jove, but the oily villain BP escaped into the depths of the Museum! So now we need your help. Come dressed as your favourite investigator (Columbo? Miss Marple? Scooby-doo?) or even in plainclothes, and help us track down this dangerous criminal and stop the Museum from aiding and abetting BP’s crimes. If you’re interested in coming, please send us an email to info@bp-or-not-bp.org and we’ll send you more details. You can also join the Facebook event here.